Exporter of a wide range of products which include ladies high heel footwear, high heel sandals, designer sandals, designer high heel, ladies sandals and black high heel footwear. Adeshwar Exports is the leading manufacturer, supplier, trader and exporter retailers of a highly commendable and diverse range of Designer Footwear. 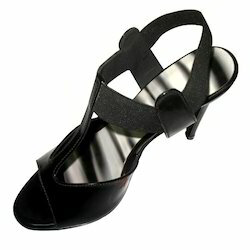 We are engaged in exporting and supplying a wide assortment of High Heel Sandals. 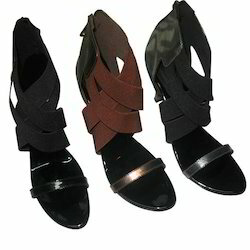 The offered designer sandal goes well for with every uniform for their sophisticated design. Moreover, we make the offered designer sandal available to clients in varied styles and sizes, in order to meet their requirements. With highly driven excellence, we have been able to offer a wide assortment of Designer High Heel. Acknowledged for the comfort and breathable, our vendor’s workforce manufactures these heel shoes by using high-end techniques and factory-tested material as per with quality norms. 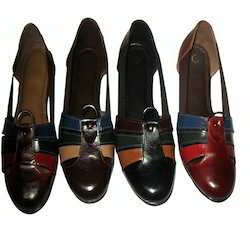 Also, these heel shoes are given in a variety of sizes, colors and designs as per need by our customers. We are the prominent and leading exporter and supplier of Fashion Beaded Slippers. Demanded for their comfort ability and durability, these beaded slippers are provided in numerous sizes, colors, & style. Offered beaded slippers are manufactured by employing superior quality basic material & sole in sync with set market standards. We are remarkable entity, engaged in exporting and supplying an excellent range of Black High Heel Footwear. Designed with anti-fatigue technology that provides all day support to foot, the offered ladies stiletto is widely applauded by our customers for its fine finish. Moreover, we make the offered ladies stiletto available to clients in varied styles and sizes, in order to meet their requirements. Owing to rich market experience in this domain, we are engaged in offering Girls High Heel. Our offered ladies stiletto is renowned for their best fitting. We are giving this ladies stiletto to our customers in customized options. 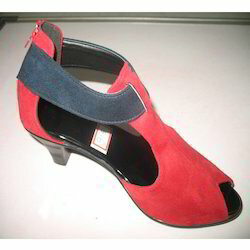 This stiletto is manufactured by vendor’s workforce using quality assured basic material. 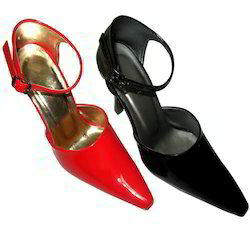 Also, customers can avail this ladies stiletto at reasonable prices. Looking for Ladies High Heel Footwear ?